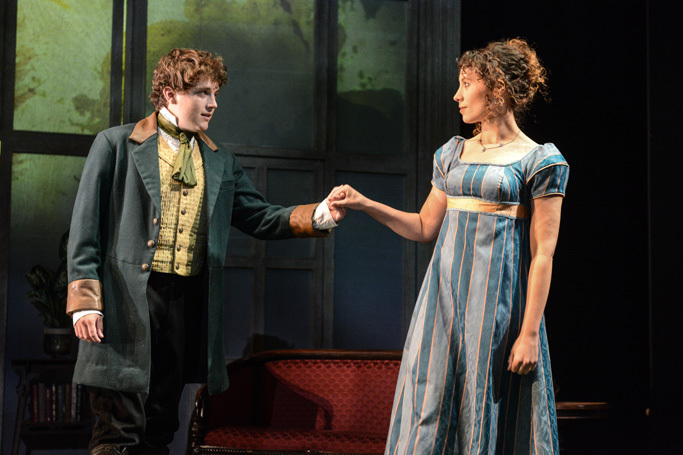 The fifth and final opening of Theatre by the Lake’s summer rep season gives us the entire company in Jane Austen’s comedy of love and marriage. 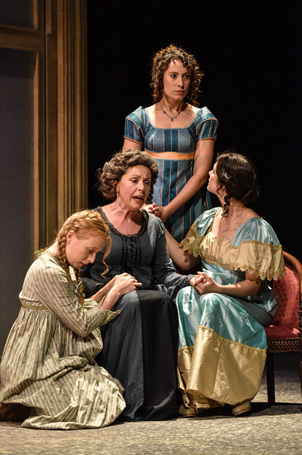 How to freshen up a classic novel with such a strong narrative voice is a perennial question for the stage. This production answers it by finding the comedy in comedy of manners, with Juliet Forster’s pacy direction providing a steady supply of exuberance and fun. Jessica Swale’s adaptation does a fine job of giving us the ups and downs of young women moving outside their family’s orbit for the first time. More subtly, the production’s design gives us a new visual take on Austen’s witty sensibility, reminding us that Regency bucks and Romantic poets were exact contemporaries. 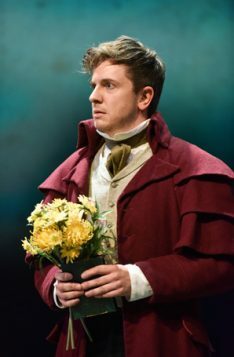 Simon Wainwright’s video design projects stunning Romantic visuals – clouds, sky, trees – as an elemental running commentary on and counterpoint to the play’s action. Barney George’s wonderfully adaptable set brings a sense of spaciousness to its interiors, and Johanna Town’s lighting nicely picks out details at key moments. Jon Nicholls’ music melds contemporary and period sounds to add emotional depth to the stage action. 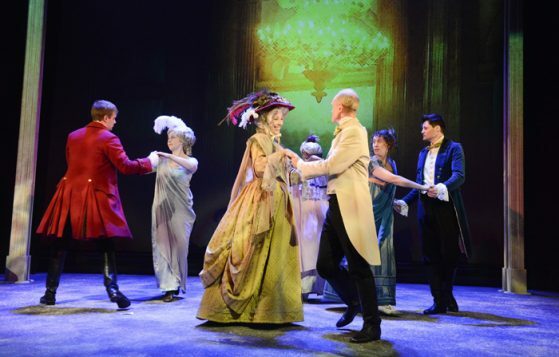 It’s a fine ensemble piece, with the cast handling a fair amount of doubling with ease. 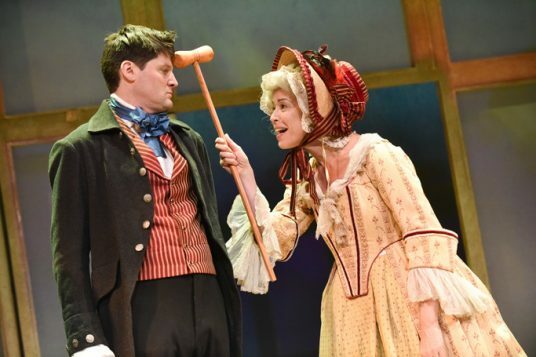 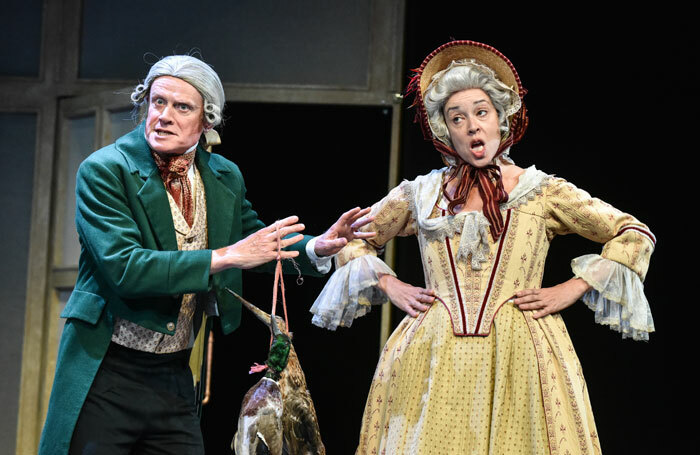 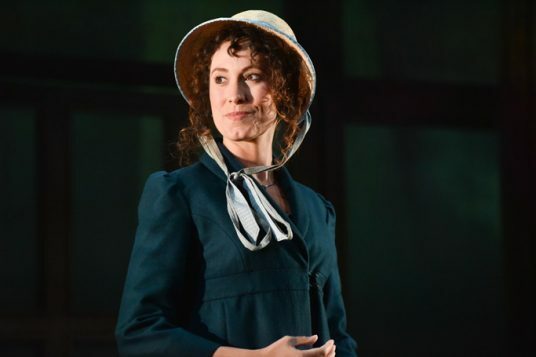 Christine Entwisle’s performances are particular highlights, as she brings comic brio and impeccable timing to her acidic Fanny Dashwood and chortling Mrs Jennings. 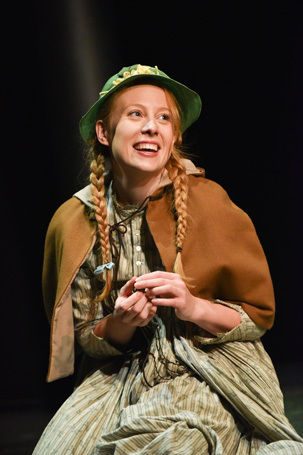 Lydea Perkins’ energetic wannabe kid naturalist Margaret Dashwood lights up the stage. 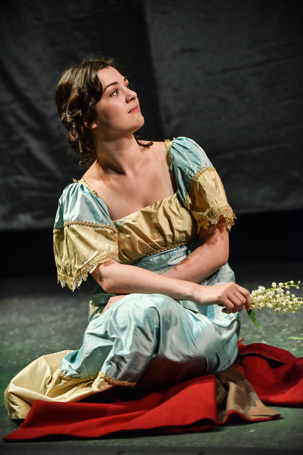 Alice Imelda as Marianne Dashwood gives us the perfect teen crush, and Sarah Kempton gives a nicely centred performance as her sister Elinor.